Bovis Homes have been building new homes for the people of Bristol for many years - and are offering more choice across the city than anywhere else in the country at the moment. The national housebuilder currently has more than 70 developments across England and Wales - with nine of those in Bristol, including one of its flagship developments, the 2,200-home new community currently taking shape at Charlton Hayes near Filton. "We are tremendously committed to building quality homes for Bristol and feel we have a real affinity with the area and its people," said South West Regional Sales Director Barry Cummins. "We're delighted to have such a presence in the city, supplying much-needed new housing as well as boosting the local economy. "The range of properties we are building and selling at the moment is wider than we have anywhere else in the UK. We offer our quality one and two bed apartments that are ideal for first-time buyers but also have our exclusive 12-home development 'Cloister Gardens', at Sneyd Park, which includes the first homes we have ever built that have an asking price of more than £1,000,000. 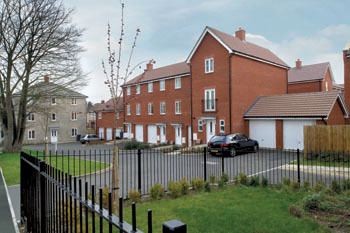 "But whatever kind of home the buyer is looking for in Bristol, and wherever it is, if they come to a Bovis Homes development they will be getting quality contemporary homes built to traditional standards - with an industry-leading customer care programme in place to help them through the process." Such is the level of activity in Bristol that the homebuilder has two area sales offices in the city. The North Office services the developments at Charlton Hayes, Horfield and Shirehampton while the South Office looks after new neighbourhoods in St George, Speedwell, Ashton Vale and Brislington, as well as a recent addition in Paulton. 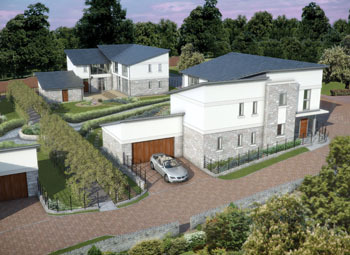 The homes at Cloister Gardens are also being sold through agents Savills. "Our level of activity in Bristol shows the confidence we have in the city's housing market and the belief we have in the local economy. We're creating a boost to that economy ourselves as each new home built creates 1.5 direct full-time jobs and many more in the local supply chain. "We especially get a buzz from seeing young Bristolians taking a first step onto the property ladder with the help of one of our purchase assistance schemes." Getting first-time buyers back into the market has been a hot topic recently with the Government unveiling FirstBuy, a shared equity scheme in partnership with housebuilders, that means the buyer needs just a 5% deposit and a 75% loan-to-value mortgage. That is being followed up this Spring with the return of a 95% mortgage scheme for new-build properties, supported by the Government, lenders and housebuilders. "First-time buyers are the lifeblood of the market, and although it's been tough for them recently in Bristol, they should really take a look at buying new now and how the figures stack up," said Barry. "With rising rents around the city we are finding that many first-timers are amazed at how favourable the monthly mortgage payments compare with the 'dead' money they were paying in rent. "For instance, you could move into a quality one-bed apartment at Merchant's Way in St George with a deposit of less than £6,000 and a mortgage of £86,246." Bovis Homes have also tried to ease the stress and budgets of Bristol houseowners looking to move on with their Home Exchange scheme, which sees the housebuilder buying their old home and freeing them from chains and estate agents' fees. "More than anywhere else in the country we think we've got something for everyone in Bristol," said Barry. "And the benefits of buying new compared to an older house are striking. "For a start you get the pleasure of knowing that it's your home 100 per cent - no-one else has ever lived there - and then there's the financial benefits of having a home that comes with a warranty and won't have any nasty surprises that will need any expensive building work done. 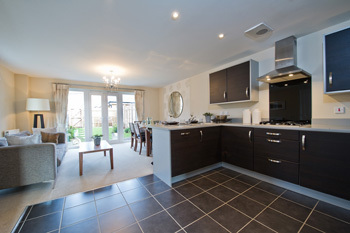 "With Bovis Homes we also provide all-inclusive homes to our Bristol buyers which have new kitchens with integrated appliances and in many cases en suite bathrooms and built-in wardrobes." 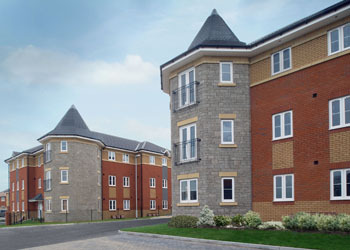 For more information on Bovis Homes go to www.bovishomes.co.uk or call the south office on 0845 460 8963 or north office on 0845 230 9997.